← I do not claim benefits so do I need a personal injury trust? You can keep your compensation and still claim means-tested benefits if your compensation is protected by a personal injury trust. Personal injury trust or special needs trust or compensation protection trust and protection of State means-tested benefits. All names used for a trust to protect personal injury compensation. A trust will mean personal injury compensation is ignored when your finances are assessed for benefits and care. Here we help you understand protection of compensation with a trust. When you receive compensation for a personal injury it can take you above the financial limits for means–tested State benefits, and affect your entitlement to local authority support for care. So be aware and look at the benefits you are receiving today, and just as important the benefits you may need in the future. Don’t just look at yourself as benefits are claimed by a family unit. It is worth repeating that you must also look at your care needs, both now and in the future, as a personal injury trust can protect compensation when local authority care is assessed. A short-term decision may cost you dear. The law quite rightly accepts compensation is not a bonus or windfall. Compensation is designed to put right the financial damage, both past and future, caused by an accident or injury. For that reason it is possible to receive compensation for an injury and still receive state benefits which are means tested. This can legitimately be achieved by paying the compensation into a trust, the sole purpose of the trust being to receive personal injury compensation. These trusts are given a number of names which can confuse. I use the term personal injury trust, but some prefer compensation protection trust or special needs trust. What we are talking about here is a trust set up to hold compensation received after a personal injury. It might sound complicated but for most cases a simple trust can be drawn up; trustees appointed (one of which can usually be you); a separate bank account opened; and that is it. The most straightforward trust is a bare trust which I can draw one up for you. For large sums, when the compensated person is a child, or if there are mental capacity issues, a more complicated arrangement may be necessary, but not to worry as I will help you through the process. I have set out some questions and answers which should help you. If you receive a compensation award in respect of a personal injury, your current or future entitlement to certain state benefits and local authority care may be affected. If the amount of compensation will lift you over the financial limits for benefits either now or in the future the answer is simple, you need a personal injury trust. You can only hold a certain amount of capital before means tested benefits are reduced or stopped, so a personal injury trust is the only answer. When should a Personal Injury Trust be set up? As soon as possible is the only answer. If you are in receipt of means-tested benefits there is a period of 52 weeks during which the compensation will be ignored, but take care as the 52 week period runs from when you first receive compensation, even if it is a small interim payment. A trust can be set up beyond the 52 weeks but leaving things to the last-minute is asking for trouble. My preference is to set up the personal injury trust before any personal injury compensation payment is received. This applies to an interim payment as well as the final settlement. Having the trust in place to receive all compensation is the best way to avoid problems and prevent means-tested benefits being lost. Learn more about the 52 week period. A personal injury trust should have at least two trustees. If the simple form of trust is used you can be one of the trustees. but you should then have at least two other trustees. Your trustees must be persons you trust and may include family, friends, a solicitor or a trust company. It is your decision as to who you want to act as your trustees. There are no general restrictions as to who can be your trustees although they must be at least 18 years of age and have full mental capacity. A trustee should also have a good bank and credit rating or there may be problems opening the trust bank or building society account. What are the responsibilities of my Trustees? The trustees hold your personal injury compensation and administer the personal injury trust for your benefit. Although your trustees hold and have control over your compensation award, they cannot use it as their own personal property or for their own benefit. If you set up a bare trust the money is essentially yours, you can add and replace trustees and bring the trust to an end whenever you want. You do not have to give away control of your money when you set up a bare trust. What if something happens to my Trustees? If, for whatever reason, your chosen trustees are unable or unwilling to continue, then the terms of the trust will tell you how a trustee is to be replaced. I recommend you have the power to add and replace a trustee. Will my chosen Trustees’ Means Tested State Benefits be affected? No, the trustee holds your award as a trustee and not as an individual so the trust fund is not counted as part of their own capital. How do I access my Personal Injury Trust Fund? You must set up a separate bank or building society account. You are not limited to one account, so you can have a current and a savings account. 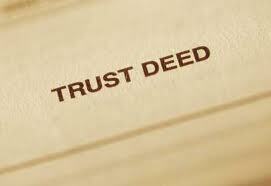 Depending on the terms of the trust property and other investments can be held. The golden rule is that all holdings should be owned by the trust, and not by you personally. The trustees will have banking facilities and the correct approach is to use only a cheque book. All Trustees should sign cheques issued on your behalf from the Trust fund. You should pay for items you buy directly from the trust bank account and avoid transferring funds to your personal bank accounts. You can put the total value of your personal injury compensation into a personal injury trust. You can add income earned on the money held in trust, or profit made on trust assets. The one trust can hold compensation from more than one personal injury if its terms are drafted widely enough. Depending on your own circumstances, you may decide to place less than the full value of your compensation into the personal injury trust. Are there limitations on how the money in the trust is used? The golden rule is not to use the trust for purposes for which state benefits are paid. This means the trust could not be used for the “normal expenses of daily living.”. I always advise that a record of expenditure should be kept, and the rule of not paying the “normal expenses of daily living” should be followed. One practice to avoid is making a regular transfer from the trust to yourself. Do not pay money across from the trust fund to your personal bank account; spend directly from the trust and you will avoid problems. If you have used the simplest form of trust, known as a bare trust, the money is yours and you can tell the trustees what to do. If at any time you decide you no longer need the personal injury trust you are usually entitled to bring it to an end. The personal injury trust will then cease, but you may lose your entitlement to any means-tested State benefits/support. If you need a more complicated form of trust you will need detailed advice on this point. If you die, the value of your personal injury trust would be paid to the beneficiaries named in the trust, or it may be paid across to your estate. You must choose which course is best so it can be written into the trust. The money held in the personal injury trust is usually taxed in exactly the same way as if you held the money yourself. This is the case for a simple bare trust. If the possibility of a discretionary trust is raised do make sure you understand the inheritance tax and income tax issues which apply to such a trust. Getting this wrong can be very expensive. This entry was posted in Personal injury trust and tagged bare trust, discretionary trust, personal injury trust, special needes trust. Bookmark the permalink. Can the personal injury trust purchase property to rent out? Will the beneficiary of the trust retain the Right to buy their council property if their personal injury trust has already bought a property? The trusts I write for personal injury compensation include the power to buy a property. Not all trusts are written the same. The right to buy a council house is based on occupation of the property. To protect the discount, the council property must be bought in the name of the purchaser, not the trust. The trust can lend the money for the purchase and the property can be transferred to the trust at the end of the discount period. If properly drafted, your trust can hold all sums derived from personal injury compensation. So a loan from the trust can be repaid to the trust. If a trust asset increases in value, the trust can hold that additional value. What you cannot do, is pay into the trust money which is not derived from personal injury compensation. You cannot “top up” the trust from private funds, nor from the sale of an asset which was not bought using the compensation. Yes. Council Tax Reduction is a means-tested benefit, so compensation for personal injury held in a trust will be ignored. Hi. One more question, sorry. Myself and my partner are in receipt of JSA and have a joint claim together. 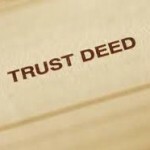 Can we both be trustees for a trust in my name? I don’t have anyone else to ask. Thank you. Yes, provided the trust bank account is operated on the basis of two signatures. You must not have individual access to the trust fund.